Home Business Nigeria's Digital Company, Publiseer, gets Incubation Programme with University of Cape Town. Nigeria's Digital Company, Publiseer, gets Incubation Programme with University of Cape Town. Nigeria's digital company, Publiseer has gotten an Incubation Programme with University of Cape Town. Publiseer was accepted into the Venture Incubation Programme Winter School 2018, into the university on Wednesday, 15th August through a message by Shiela Yabo, the Programme Coordinator. The programme will take place at Solution Space, Graduate School of Business, University of Cape Town, in Cape Town, from 3rd September, 2018 to 30 November, 2018. The programme twice every year selects 15 of the best digital startups from across Africa in the areas of Fintech, E-commerce, Healthtech, Sport and News, IoT, energy, Agritech and Edtech. The Venture Incubation Programme (VIP) is designed to provide a supportive ecosystem to help African startups build viable and scalable innovation-driven companies. Publiseer and other selected startups will have access to a range of resources including co-working space, practical learning clinics, mentors, weekly check-ins and staff advisors, and a community of peers who learn and grow together. The VIP offers startups several key advantages, and is located in the heart of the V&A Waterfront, where startups are on the doorstep of Africa's fastest growing tech hub. The VIP offers proof-of-concept (POC) collaboration opportunities with our industry partner MTN Group and a pool of early-stage investors. MTN Group is looking for startups that are either building a sustainable Africa through digital solutions for health, education, agriculture, fintech, energy and Internet of Things, or enabling businesses through digital solutions for religion, sport, news and e-commerce. Since its inception in 2016, the Venture Incubation Programme has supported various successful businesses, such as eating out app Feastfox and chatting platform Chat2Brand, as well as online emotional intelligence platform Mygrow and consumer neuroscience consultancy Neural Sense. Starting a new venture requires discipline, perseverance, action, risk-taking and passion. 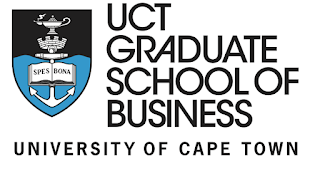 These qualities cannot be taught in an academic curriculum — the real world is the best teacher for entrepreneurship.This is the main principle behind the Venture Incubation Programme (VIP), at the UCT Graduate School of Business Solution Space. It's mission is to inspire, nurture and equip the next generation of leaders to build a better future. Twice a year, that mission comes to life when a selection of entrepreneurs are put through their paces in an intensive three-month programme of live learning and rigorous practice. The VIP enables the ventures to develop their idea, test their product in the market, build their team and establish a viable business. Publiseer is a digital publishing platform that helps Africa writers and musicians distribute and monetize their creative works across over 400 digital stores, at no charge. They have received several recognition, including emerging a finalist at the Harvard Business School New Venture Competition.